The October issue of famous Japanese magazine “Nikkei Business Magazine” attracted much attention with their report about Hallyu stars. TVXQ and Shinee were among the many other artistes that appeared on the front cover of the magazine, which included a report and analysis about K-POP hallyu stars. In The K-pop male singer popularity category, TVXQ clinched first place, followed by Big Bang, 2PM and Beast. Actor Bae Yong Jun clinched first place in the most well-known Korean artiste, followed by Lee Byung Hun, Jang Geun Suk, Jang Dong Gun, Won Bin, Ryu Si won, Kwon Sang-woo, Jung Yunho, Song Seung Hyun clinching 2-10th place respectively. Group JYJ has become selected as models for a smartphone. LG Electronics has picked JYJ to be the CF model for Optimus Q2, the premium Qwerty smartphone that is being exclusively released from LG UPlus starting this weekend. In the music video for Get Out… Good Bye, the new song that is together with Optmius Q2, JYJ portrayed in a controlled monotone a sad love story of a pair of star-crossed lovers. LG Electronics explained that the superb musical quality, the powerful performance, and the chic feel of the Korean Wave stars JYJ have melded well with the particular qualities of the new Qwerty smartphone Optimus Q2 and so they have come to bring in JYJ as its models. 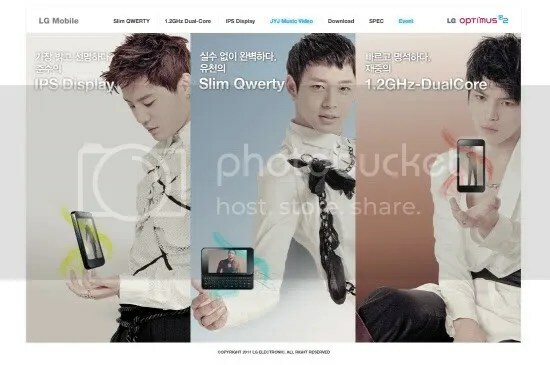 On the other hand, the music video for JYJ’s Get Out Good Bye which holds in it an ardent love story will be revealed for the first time on the microwebsite of Optimus Q2 (http://www.lgmobile.co.kr/event/optimusq2/index.html) starting on the 20th. The brightest and the clearest. JYJ’s Park Yoo Chun was recently voted for the best counselor for girls. Online community DC Inside did a survey called ‘Who is the best counselor for girls among male entertainers?’ from the 14th to the 20th. On the 21st, the community confirmed Park was ranked first with 3,190 votes among 8,797 respondents (36.6%). Park captured many female fans’ hearts by appearing on Sungkyunkwan Scandal and Miss Ripley. Singer and actor Lee Seung Gi was ranked second with 1,738 votes (19.8%) and singer John Park was ranked third with 1,237 votes (14.1%). How could anyone say he doesn’t love Thai fans….Though this charming Korean sweetheart is fully scheduled with his 2 jobs – being a super star singer for JYJ and taking a lead role in Korean dramas. When he knew Thai fans are in love with his role as “Lee Seon Joon” in Sungkyunkwan Scandal, he accepted Kung Chalermchai’s invitation (411Ent CEO who was the organizer for 2011 JYJ WORLD TOUR CONCERT IN THAILAND) to have a fan meeting in Thailand (Park Yuchun Exclusive Fan Meeting in Thailand :A Date with Yuchun). 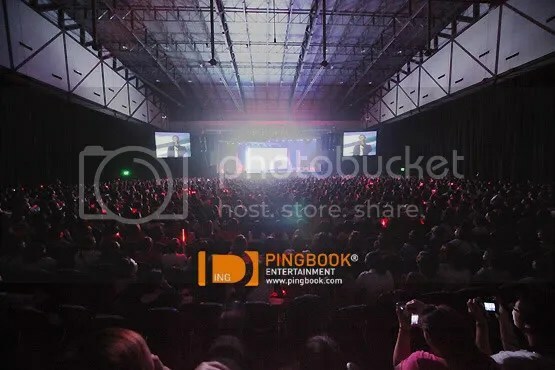 As soon as the information was announced, all the fans all over Asia (or probably all over the world) started to envy Thai fans because this was the first and only fan meeting in Thailand. Thai fans paid their love back to Yoochun by buying the tickets to meet their idol. On 17th September at Impact Arena Hall 3, Thai fans and international fans, including Korean, Japan, Singapore, China and more, gathered for one purpose, “for a date with Yoochun”. The fan meeting started with Yoochun walking out with the song “Found You” (Sungkyunkwan Scandal OST) in the background. He greeted the fans in the Thai way and introduced himself in Thai. The fans screamed for all the little things that he did. The fan meeting started with the Talk, asking how he has been doing and also the feeling of having his fan meeting in Thailand. Yoochun admitted he was surprised with the numbers of the fans who came to his fan meeting. He was happy he got a chance to visit Thailand twice this year. Although JYJ ‘Kim Jaejoong’ and JYJ ‘Kim Junsu’ couldn’t come, they sent their full support for the event. He also updated us what he’s been up to after Miss Ripley. Yoochun said he’s ready for JYJ new album, after this fan meeting the fans will have a chance to listen to the songs in their new album for sure. Yoochun also showed the fans his Thai skills before the first talk part ended. In the next session, the host asked him about Miss Ripley which was his second lead-role drama. Yoochun accepted that he had been working hard during the drama shooting but luckily he got a lot of support from his senior colleagues. Then there was a highlight VTR of Miss Ripley, Yoochun talked about his interest in acting and also his role in this drama. Yoochun showed his piano skill that fascinated every audience in the hall. The next Talk was the exciting part, Yoochun selected 5 questions that fans wrote to him in front of the fan meeting hall [T/N it was the host who selected the questions]. The fans were amazed with his answers, and it was time for Yoochun to take a break, but the fans still continued to scream from the VTR that included Jaejoong and Junsu. Yoochun got up on the stage again with the surprise cake from the fans to congratulate his first fan meeting with a video clip that expressed the fans’ heart. Yoochun was so happy with this surprise that he couldn’t stop smiling. He returned the love from his fans by selecting the 5 lucky fans to play “Cham Cham Cham” game with him on the stage. 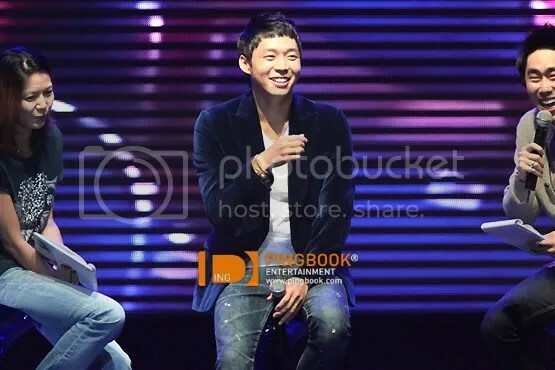 Next, he sang “Found You” (Sungkyunkwan Scandal OST), Yoochun rearranged it and played piano along with the song that made this date very special [T/N: he didn’t play piano for this song, but he sang it in the piano version]. The next part was “Lee Seon Joon” time, most of the questions in this part focused on Sungkyunkwan Scandal. Although it was his first lead-role drama, Yoochun was very absorbed in acting and very good at it, and he has won many acting awards. Then there was a Sungkyunkwan Scandal VTR. Though everyone in the hall already watched it for many times, they still screamed anyway. Finally, it’s O-X (True/False) game time to find the 10 true fans. Those who correctly answered the questions about Yoochun would get a chance to play Rock-paper-scissors with him and the 3 winners would get a chance to take polaroid photo with Yoochun [T/N: the last winner would get Yoochun’s Gucci wallet too]. To conclude the fan meeting, Mr. Kung Chalermchai (411Ent CEO) thanked all the fans and said he hope he’d get a chance to organize more activities in the future…. everybody is all happy….the artist….the fans and the organizers. We hope to join the next activities from 411Ent real soon. 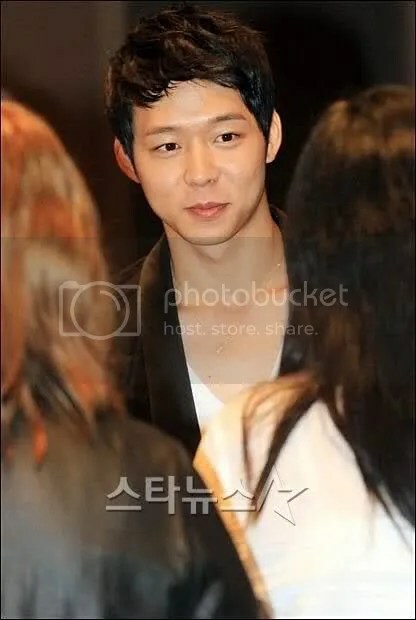 JYJ member Park Yoochun was welcomed by fans in Thailand like royalty. On September 17th, Park Yoochun opened a fan meeting at Muang Tong Thani located in Bangkok, Thailand. The purpose of the event was not only to greet his fans, but also to promote his KBS 2TV drama, ‘Sungkyunkwan Scandal‘. 3,500 lucky fans were able to attend the event and had a lot of fun with the Korean star. ‘Sungkyunkwan Scandal’ is currently one of the most popular dramas in Thailand. It’s no wonder the Bangkok airport was recently thrown in chaos due to the visit of endless amount of fan girls across the country upon Yoochun’s arrival. 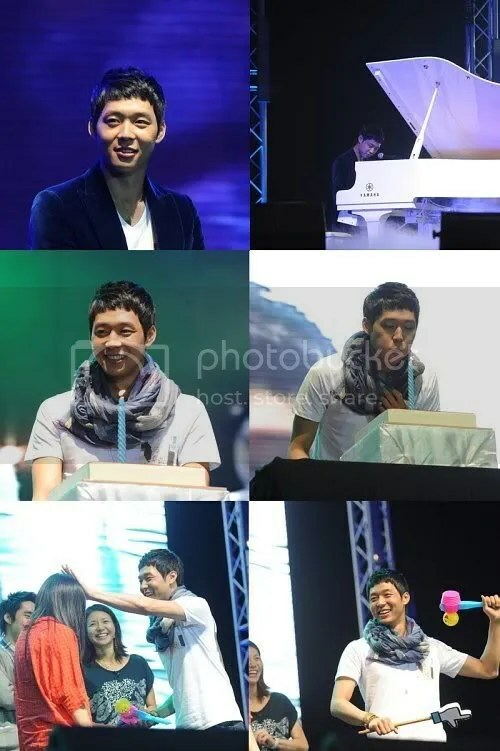 During the fan meeting, Yoochun interacted with his fans by playing games and answering questions. He even treated his fans by singing an OST from MBC drama, ‘Miss Ripley‘. Meanwhile, Yoochun is busy promoting JYJ’s newly released album, ‘IN HEAVEN‘ in Korea.